30 ACS OWNER MAY CARRY OFF GRID WIKIEUP AZ! Lot 148 S Great Western Rd. An adjoining 40 acre property can be purchased with this one for $55,000. 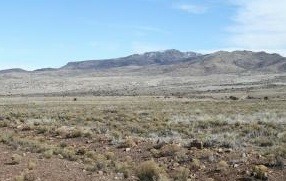 Great wide open property with views for MILES! Owner may carry! A few trees, some spectacular mountains make this feel complete distant from everything. Yet you are within 2 hrs of shopping in every direction. 30 Acs OWNER MAY CARRY Off Grid Wikieup AZ! The 2014 Well Estimate shows a depth between 400 and 755 feet at a cost of 10 to 18K. Wikieup is a small, unincorporated community on highway 93 in Mohave County, Arizona. The temperature is milder than that of Phoenix, about 124 miles to the southeast. This is a great spot in Arizona to find large parcels of land and get away from it all. It sits between the Aquarius and Hualapai Mountains. The area is in a valley lying over the Big Sandy Aquifer making wells affordable and common in the area. 30 Acs OWNER MAY CARRY Off Grid Wikieup AZ! This is a great spot in Arizona to find large parcels of land and get away from it all. Old mines and abandoned towns make great exploring.